Reminder to ALL Students - please check and update your notification contact information for accuracy. This will enable prompt notifications to your home phone, cellphone, and email address. To update your contact information, please login to WebAdvisor at http://webadvisor.stanly.edu and click on the “Change Address” link on the “Account Information” page located under the "Students" menu. Still having trouble? Visit our knowledge base for visual aids of the process. 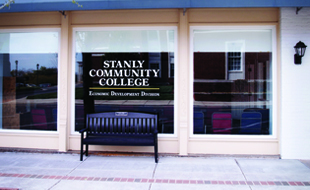 Stanly Community College is committed to providing a safe learning and working environment. 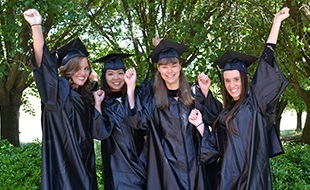 In compliance with federal law, the Jeanne Clery Act (Clery Act) and the Campus Sexual Violence Elimination Act (SaVe Act), Stanly Community College has adopted policies and procedures to prevent and respond to incidents of sexual assault, domestic violence, dating violence, and stalking. These guidelines apply to students, faculty and staff, as well as contractors and visitors. Drive carefully and watch for students, faculty, staff, and visitors walking in the parking lots and crossing roadways. Be aware of your surroundings. Check the floor plans in buildings so you know where to exit in case of fire and where first aid and fire extinguishers are located. Look for Safe Areas so you know where to go in case of severe weather. If you see something you feel is an unsafe situation, please let someone know. Secure your vehicle and do not leave items in a visible location. Be very careful with your personal Information, such as social security card, driver's license, banking receipts, medical papers, etc. It is extremely important for all user contact information to be accurate so that the college can contact you with important notifications, including information regarding emergency situations. Please verify that your information is correct by using the "Address Change" link. You will find more detailed instructions at the following webpage. 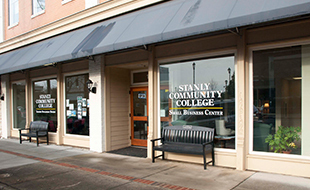 In compliance with federal law, the Jeanne Clery Act (Clery Act) and the Campus Sexual Violence Elimination Act (SaVE Act), Stanly Community College has adopted policies and procedures to prevent and respond to incidents of sexual assault, domestic violence, dating violence, and stalking. These guidelines apply to students, faculty and staff, as well as contractors and visitors. The Campus Sexual Violence Elimination Act (SaVE Act) was signed into law on March 7, 2013. The SaVE Act amends the Clery Act, which addresses campus sexual assault policies. Every post-secondary institution participating in Title IV financial aid programs are affected. It increases transparency by requiring institutions to disclose campus crime statistics and security information. The Act guarantees enhanced rights to victims, sets standards for disciplinary proceedings and requires campus-wide prevention programs.